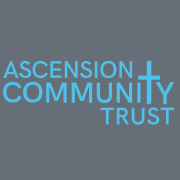 Ascension Community Trust enables the whole community of Custom House to make the community whole. Through our services we strive hard to make a long and real lasting positive impact on the lives of people we serve. We seek to help people develop essential skills necessary to improve the quality of their lives and of the local community, enabling access to learning, training and opportunities, empowering people to reach their goals, providing a safe community place for integration and social inclusion. In all that we do, we aim to break down barriers and reduce isolation, working with people of all faiths and seeking to promote understanding between all sections of the local community. We have built up a wealth of information from our work with local children, youths and families. We have listened to needs and responded with support and services. Our project has positively impacted the lives of hundreds of children, youth, and families and offered a full range of services and supports. Would you recommend Ascension Community Trust?